DRAGONFLY DASH Syaoran and his world-hopping friends find themselves in grave danger as they continue their inter-dimensional search for Princess Sakura’s missing memories!ÊAfter the godlike Ashura-o kills the mighty Yasha-o, the country of Shura hangs in the balance-and Syaoran will do anything he can to correct the past.ÊThen, the dimension travelers are off to Piffle World, where the prize for the lucky pilot who wins the elusive Dragonfly Race is one of Princess Sakura’s memories! But when contestants are eliminated from the competition unexpectedly, the friends fear that someone may be rigging the race with booby traps. Can the culprit be found before it’s too late? And will any of our heroes emerge victorious? Princess Sakura’s memories-and now their lives-depend on it! 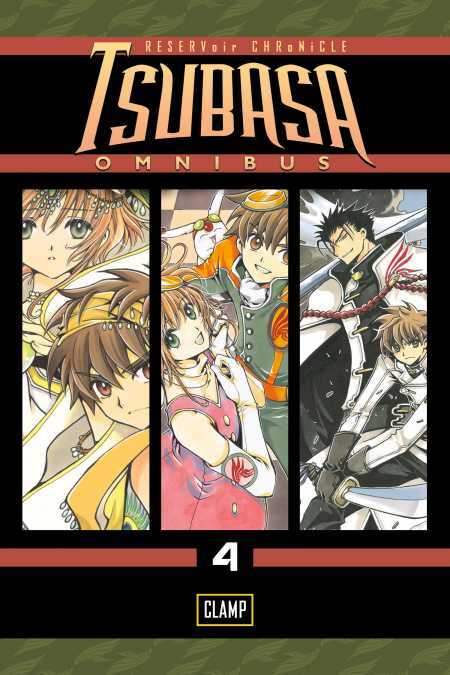 This omnibus edition includes volumes 10-12 ofÊTsubasa.